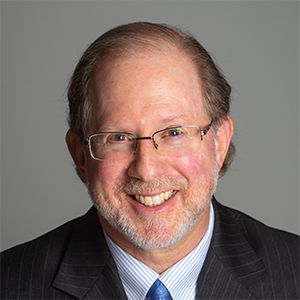 Jon D. Jacobs spent nearly 27 years in the U.S. Environmental Protection Agency’s (EPA) Office of Enforcement and Compliance Assurance and the Office of Administrative Law Judges. He has earned an international reputation specializing in pesticide, toxic substances, and emergency planning issues. His insider knowledge of EPA, DOJ, and other federal and state agencies offers an extraordinary and perhaps unique understanding of how EPA and the federal government operate. He maintains well established relationships with many key players at EPA allowing him to develop innovative strategies, options, and solutions that many other “environmental attorneys” are unable to accomplish. Since entering private practice, Mr. Jacobs has focused on bringing exceptional legal services in a cost-effective manner to a variety of clients involving environmental matters ranging from federal and state enforcement actions to public policy advocacy. His clients have included international and domestic pesticide producers, start-up companies, other law firms, non-profits, and individuals. Mr. Jacobs was a senior attorney in EPA’s Office of Criminal Enforcement, Forensics, and Training where he specialized since 2000 in environmental crimes involving EPA’s chemicals and pesticides laws. Mr. Jacobs’ practice at EPA’s Headquarters office in Washington, D.C. also included national program management responsibilities such as drafting federal legislation, regulations, guidance, and policy. From 2002-2006 he served in OCEFT’s Washington Area Criminal Investigation Office as a regional criminal enforcement counsel where he advised EPA’s special agents in over 30 investigations of environmental crimes under all of EPA’s statutes. He then assisted U.S. Attorney’s Offices in prosecuting these cases as a Special Assistant U.S. Attorney (SAUSA) in Maryland, Virginia, and the District of Columbia. His SAUSA responsibilities included a Clean Water Act jury trial and several grand jury proceedings. Mr. Jacobs joined EPA in 1987 as the first full-time attorney advisor to EPA’s Office of Administrative Law Judges. In 1989 he became an enforcement attorney in EPA’s Office of Civil Enforcement’s Toxics Litigation Division, was designated a Department of Justice trial attorney, and later served as TLD’S Deputy Director co-managing EPA’s nationwide chemicals and pesticides civil enforcement programs. In 1994 he was selected to be a branch chief in the newly-created Toxics and Pesticides Enforcement Division where he (1) supervised a multi-disciplinary team of 14 attorneys, case development officers, and scientists engaged primarily in hundreds of administrative and civil judicial enforcement actions; and (2) directed the legal and technical national enforcement activities for TSCA, FIFRA, EPCRA, and CERCLA programs including numerous national compliance and enforcement initiatives (including voluntary disclosures and audit compliance programs). During his career, Mr. Jacobs received numerous EPA medal awards for exceptional and outstanding service. He served as an instructor at the Federal Law Enforcement Training Center and EPA’s National Enforcement Training Institute. Mr. Jacobs had a Secret security clearance. Mr. Jacobs’ formal education includes a B.A. from Trinity College, a J.D. from the Benjamin N. Cardozo School of Law, and a Masters in Taxation from George Washington University’s National Law Center. Prior to entering government service his private practice experience included specializing in international taxation at the former Coopers and Lybrand accounting firm (now known as PwC) and BNA, Inc. (now known as Bloomberg BNA). Mr. Jacobs served on the Board of the Children’s Environmental Literacy Foundation which is a non-profit organization dedicated to making sustainability education an integral part of every school’s curricula from kindergarten through high school. Licensed to practice law in the District of Columbia.